The House Education and the Workforce Committee could soon mark up a bill to reauthorize the Healthy Hunger-Free Kids Act, which governs school meal and other child nutrition programs. Potential pitfalls include reducing the use of “community eligibility,” an option available nationwide that allows high-poverty schools to offer al lstudents free breakfast and lunch. Thousands of students would go hungry or have no choice but to eat less nutritious food. 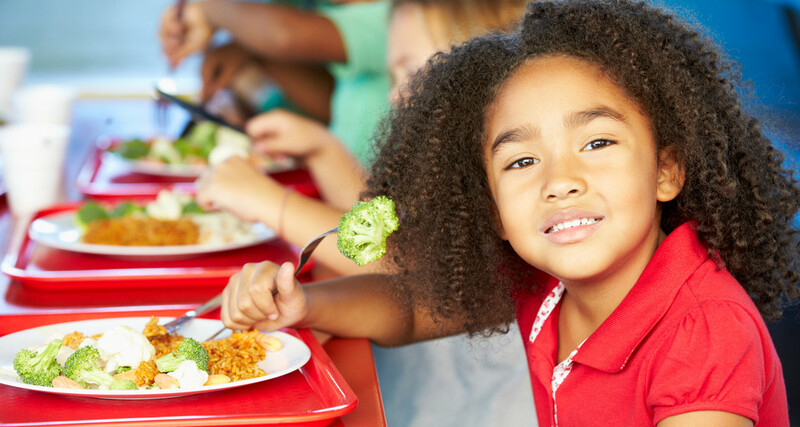 NEA’s priorities include preserving the current guidelines for healthy school meals, improving training for school food service professionals, and strengthening programs that provide meals for kids when school is out. Click on the button and tell Congress to take action on child nutrition. The committee charged with negotiating regulations to implement the Every Student Succeeds Act (ESSA) convenes Monday, April 18, for the final round of rulemaking; the outlook for agreement is dim amid fresh warnings from congressional leaders that the Department NOT try to circumvent legislative intent. The committee, which includes two voting members nominated by NEA, is working to ensure that federal dollars “supplement, not supplant” state and local dollars. This past week, Senate HELP Committee Chairman Lamar Alexander (R-TN) sharply criticized Secretary of Education John King for the Department’s proposal involving comparability of funding between Title I and non-Title I schools, saying it violates the law. Alexander indicated that, if needed, he will pursue action through the appropriations process to try to block regulations that deviate from congressional intent. 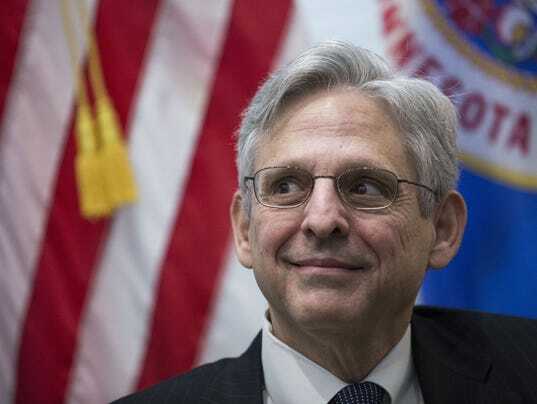 A new AP-GfK poll released this week shows that nearly 2 in 3 Americans want the Senate to do its job and hold a hearing and vote on President Obama’s nominee for the Supreme Court, Merrick Garland, chief judge on the D.C. Circuit Court of Appeals. Keep the pressure on! The Constitution is clear: It is the duty of the President to nominate Supreme Court justices and the duty of the Senate to provide “advice and consent”—to hold a hearing and take an up-or-down vote. Click on the button and tell your senators to do their job. By voice vote, the House Oversight and Government Reform Committee passed the NEA-opposed Scholarships for Opportunity and Results (SOAR) Act (H.R. 4901), which would renew the voucher program in the nation’s capital. At a time when essential federal programs like Title I and the Individuals with Disabilities Education Act (IDEA) are severely underfunded, the DC voucher program is diverting funds from public to private schools. Students can also suffer because private schools are not subject to the same oversight, transparency, and accountability standards as public schools. Click on the button and urge your representatives to oppose renewing the DC voucher program. Representatives Eleanor Holmes Norton (D-DC), Elijah Cummings (D-MD), Brenda Lawrence (D-MI) and Gerald Connolly (D-VA) for speaking out against the bill to renew the DC voucher program. Representative Nita Lowey (D-NY) for blasting House Republicans for proposing a change in rules to make it easier to cut funding for mandatory programs like Medicaid and Medicare, as well as programs that have not been reauthorized. “If the majority has ideas to reduce mandatory spending, they should be advanced under regular order through the committee of jurisdiction—not through the appropriations process where the consequence of failing to pass a bill is government shutdown,” said Lowey. House Oversight and Government Reform Committee Chairman Jason Chaffetz (R-UT) for bringing forward the bill to renew the DC voucher program. One-fourth of the GOP caucus—including Judiciary Committee Chairman Chuck Grassley—have announced that they will meet with Supreme Court nominee Merrick Garland, currently chief judge of the U.S. Court of Appeals for the D.C. Circuit. But that’s not enough. Keep the pressure on! The Constitution is clear: It is the duty of the President to nominate Supreme Court justices and the duty of the Senate to provide “advice and consent”—to hold a hearing and take an up-or-down vote. Click on the “take action” button and tell your senators to do their job. The committee charged with negotiating regulations to implement the Every Student Succeeds Act (ESSA) met again this week to discuss “supplement, not supplant” funding and student assessments. The “neg reg” committee includes two voting members nominated by NEA: California teacher Ryan Ruelas and Wisconsin paraeducator Lynn Goss. Much of the discussion thus far has revolved around inclusion of students with disabilities and English-language learners in academic assessments, English language proficiency assessments, and alternative academic standards and assessments for the students with the most significant cognitive disabilities. If the committee does not reach consensus—often the case with negotiated rulemaking—the U.S. Department of Education will go through the usual process: drafting rules, publishing them in the Federal Register, revising them in response to comments, and then issuing the final regulations, which in this case Congress would get to review. NEA and eight other leading education groups sent a letter this week urging the U.S. Department of Education “to refrain from defining terms and aspects of the new law that Congress gave communities the flexibility to determine.” Remember: to help educators advocate for implementing ESSA effectively, NEA has created a repository of online resources: nea.org/essabegins. Check it out! Reauthorization of child nutrition laws is still on the minds of lawmakers, as evidenced by the Senate Agriculture Committee’s passage of a bill earlier this year. Potential House action this spring could include cuts in community eligibility, an option adopted by more than 18,000 schools across the country that is “a powerful tool that allows school districts to target nutrition benefits to children in high-poverty schools,” according to a new report by the Center on Budget and Policy Priorities (CBPP) and the Food Research & Action Center (FRAC). With community eligibility, high-poverty schools provide free meals for all students instead of processing applications from individual students. Click on the button and tell Congress to take action on NEA’s priorities: preserving the current guidelines for healthy school meals, improving training for school food service professionals, and strengthening programs that provide meals for kids when school is out. U.S. Department of the Treasury for issuing a new rule to limit corporate “inversions,” a tactic that is giving corporations tens of billions of dollars in tax breaks for moving their headquarters overseas. Representative Tom Reed (R-NY) for leading a letter urging the U.S. Department of Education to heed congressional intent for the new Every Student Succeeds Act and allow parents to have their children opt out of federally-mandated standardized tests—the law makes the states, not the Department of Education, responsible for determining what steps to take if a significant number of students opt out. Senate Majority Leader Mitch McConnell (R-KY) for continuing to ignore more than 100 years of precedent and refusing to give President Obama’s Supreme Court nominee even a hearing.